A pision bench of the Supreme Court comprising JJ Mr. R.M. Lodha & Mr. Shiva Kirti Singh directed Mr. P.P. Malhotra, Additional Solicitor General for the Union of India to file the status report on the trial of POK prisoners in J&K and other Indian jails. This direction was given on several writ petitions filed by Prof. Bhim Singh and the Panthers Party before the Supreme Court seeking release of all the Pakistani and POK prisoners who have completed their respective sentences and have been languishing in different jails in violation of Article 21 of the Constitution of India. Earlier Prof. Bhim Singh, Sr. Advocate made a forceful appeal before the Supreme Court for the repatriation of all the foreign prisoners who have completed 15 years or more in Indian jails. He submitted that in several cases the trials are going on in spite of the direction of the Supreme Court in 2008 to complete trials of all the prisoners or the foreign prisoners within one year. Prof. Bhim Singh submitted that there were several prisoners who have been declared mentally challenged and are detained in Amritsar, Alwar (Rajasthan), Bhuj (Gujarat) and Central Jail Kotbhalwal (J&K). He urged the court to direct the Govt. of India for their deportation to their respective countries. He submitted before the court that Govt. of India has accepted that there are 35 such prisoners who have no case pending against them and have completed their respective sentences 4/5 years back. (List of the names is attached for information with this statement). Prof. Bhim Singh also submitted that there were five deaf and dumb foreign prisoners in Amritsar jail whose identity has not been verified for several years. Prof. Bhim Singh that the Govts have been playing hide and seek vis-à-vis POK prisoners and requested that all those prisoners who have completed 15 years in Indian jails or whose trials are still pending for 15 years deserve to be repatriated to their respective countries.The petition said that there is a prisoner named Mohd. Sharief who was arrested in 1992 and he completed his sentence in 1997. He is still in detention in Central Jail Amritsar which makes mockery of the entire jurisprudence on Human Rights and civil liberty of a human being. Prof. Bhim Singh has been agitating before the Supreme Court of India for over 10 years seeking release of Pak and POK prisoners from the Indian jails particularly those who had completed their sentences or those whose trials had not just started in 10/15 years. More than 350 POK and Pak prisoners were released on the direction of the Supreme Court of India on the writ petitions filed by the J&K National Panthers Party and State Legal Aid Committee headed by Prof. Bhim Singh. The court has directed that the case be listed after two weeks.Prof. 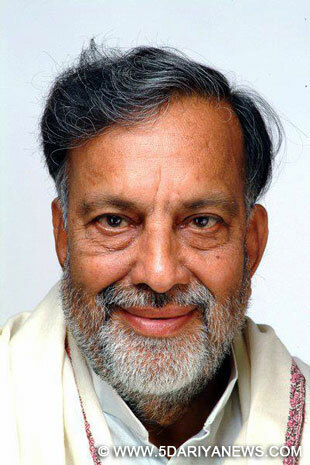 Bhim Singh was assisted by M/s.B.S. Billowria, P.V. Yogeswaran and S.K. Bandopadhay, Advocates.